It's a great time to be a beer drinker, but also the most confusing, thanks to the dizzying array of available draft beers. 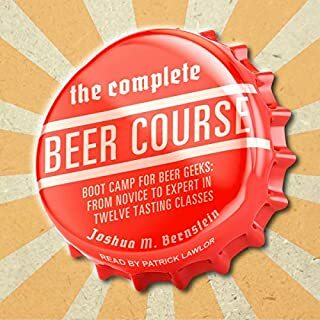 Expert Joshua M. Bernstein comes to the rescue with The Complete Beer Course, demystifying brews and breaking down the elements that make beer's flavor spin into distinctively different and delicious directions. Structured around a series of easy-to-follow classes, his course hops from lagers and pilsners to hazy wheat beers, Belgian-style abbey and Trappist ales, aromatic pale ales and bitter IPAs, roasty stouts, and mouth-puckering sour ales. Goose Island opened as a family-owned Chicago brewpub in the late 1980s, and it soon became one of the most inventive breweries in the world. In the golden age of light and cheap beers, John Hall and his son Greg brought European flavors to America. With distribution in two dozen states, two brewpubs and status as one of the twenty biggest breweries in the United States, Goose Island became an American success story and was a champion of craft beer. Then, on March 28, 2011, the Halls sold the brewery to Anheuser-Busch InBev, maker of Budweiser, the least craft-like beer imaginable. Everyone knows how to drink beer, but few know how to really taste it with an understanding of the finer points of brewing, serving, and food pairing. 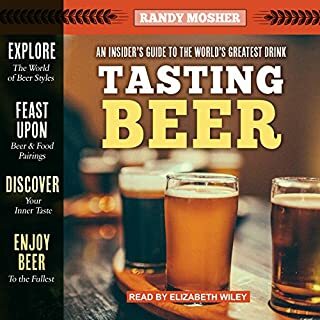 Discover the ingredients and brewing methods that make each variety unique, and learn to identify the scents, colors, flavors, and mouthfeel of all the major beer styles. Recommendations for more than 50 types of beer from around the world encourage you to expand your horizons. Uncap the secrets in every bottle of the world's greatest drink! 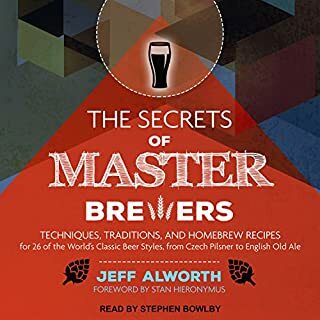 Best-selling author Jeff Alworth takes serious beer aficionados on a behind-the-scenes tour of 26 major European and North American breweries that create some of the world's most classic beers. Learn how the Irish make stout, the secrets of traditional Czech pilsner, and what makes English cask ale unique by delving deep into the specific techniques, equipment, and geographical factors that shape these distinctive styles. Beeronomics examines key developments that have moved the brewing industry forward. Its most ubiquitous ingredient, hops, was used by the Hanseatic League to establish the export dominance of Hamburg and Bremen in the 16th century. During the late 19th century, bottom-fermentation led to the spread of industrial lager beer. Industrial innovations in bottling, refrigeration, and TV advertising paved the way for the consolidation and market dominance of major macrobreweries during the 20th century. The Brewer's Tale is a beer-filled journey into the past: the story of brewers gone by and one brave writer's quest to bring them - and their ancient, forgotten beers - back to life, one taste at a time. This is the story of the world according to beer, a toast to flavors born of necessity and place - in Belgian monasteries, rundown farmhouses, and the basement nanobrewery next door. So pull up a barstool and raise a glass to 5,000 years of fermented magic. A great story and inspirational!! Starting with nothing more than a home brewing kit, Sam Calagione turned his entrepreneurial dream into a foamy reality in the form of Dogfish Head Craft Brewery, one of America's best and fastest-growing craft breweries. In this newly updated Second Edition, Calagione offers a deeper real-world look at entrepreneurship and what it takes to operate and grow a successful business. In several new chapters, he discusses Dogfish's most innovative marketing ideas. 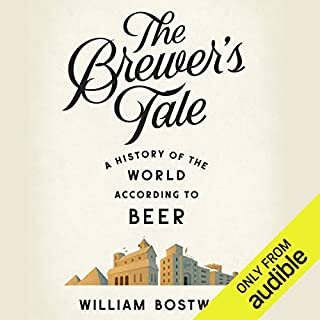 Beer offers an amusing and informative account of the art and science of brewing, examining the history of brewing, and how the brewing process has evolved through the ages. The third edition features more information concerning the history of beer, especially in the United States; British, Japanese, and Egyptian beer; beer in the context of health and nutrition; and the various styles of beer. Author Charles Bamforth has also added detailed information on prohibition, Sierra Nevada, and life as a maltster. So You Want to Start a Brewery? So You Want to Start a Brewery? is the first-person account of Tony Magee's gut-wrenching challenges and heart-warming successes in founding Lagunitas Brewing Company. In just 20 years, the company has grown from a seat-of-the-pants, one-man operation to be the fifth largest--and the fastest growing--craft brewer in the United States. I did not even like beer before I read this book! The Story of Sierra Nevada Brewing Co. Beyond the Pale chronicles Ken Grossman's journey from hobbyist homebrewer to owner of Sierra Nevada Brewing Co., one of the most successful craft breweries in the United States. From youthful adventures to pioneering craft brewer, Ken Grossman shares the trials and tribulations of building a brewery that produces more than 800,000 barrels of beer a year while maintaining its commitment to using the finest ingredients available. Since Grossman founded Sierra Nevada in 1980, part of a growing beer revolution in America, critics have proclaimed his beer to be "among the best brewed anywhere in the world." Is this a book for beer aficionados or business enthusiasts? Both, and it's as refreshing as a cold brew. In Beer School, authors and entrepreneurs Steve Hindy and Tom Potter share the improbable saga of Brooklyn Brewery, the company they grew from a home-brew hobby into a multimillion-dollar business - all in the most competitive beer market in the United States. What can beer teach us about biology, history, and the natural world? 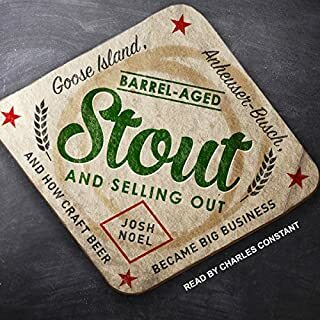 From ancient Mesopotamian fermentation practices to the resurgent American craft brewery, authors Rob DeSalle and Ian Tattersall peruse the historical record and traverse the globe for engaging and often surprising stories about beer. They explain how we came to drink beer, what ingredients combine to give beers their distinctive flavors, how beer's chemistry works at the molecular level, and how various societies have regulated the production and consumption of beer. Patrick E. McGovern takes us on a fascinating journey through time to the dawn of brewing, when our ancestors might well have made a paleo brew of wild fruits, honey, cereals, and botanicals. Early beverage makers must have marveled at the magical process of fermentation. Their amazement grew as they drank the mind-altering drinks, which were to become the medicines, religious symbols, and social lubricants of later cultures. From the Lambic breweries of Belgium, where beer is fermented with wild yeasts drawn down from the air around the brewery, to the aquifers below Burton-on-Trent, where the brewing water is rumored to contain life-giving qualities, Miracle Brew tells the full story behind the amazing role each of these fantastic four - a grass, a weed, a fungus, and water - has to play. This book documents and addresses the growing pains a company experiences as it evolves from the awkward early start up years into a mid-sized sustainable company with hundreds of co-workers. Calagione is candid in sharing his personal leadership challenges and successes and calls on other seasoned vets inside and outside the company who inform and influence the journey of growth and creative expression Dogfish Head is on. Huckelbridge shows how beer has evolved along with the country - from a local and regional product (once upon a time, every American city had its own brewery and iconic beer brand) to the rise of global megabrands, like Budweiser and Miller, that are synonymous with US capitalism. We learn of George Washington's failed attempt to brew beer at Mount Vernon with molasses instead of barley and of the 19th-century "beer barons", like Captain Frederick Pabst, Adolphus Busch, and Joseph Schlitz. The engrossing, often scandalous saga of one of the wealthiest, longest-lasting, and most colorful family dynasties in the history of American commerce—a cautionary tale about prosperity, profligacy, hubris, and the blessings and dark consequences of success. This engrossing, vivid narrative captures the Busch saga through five generations. At the same time, it weaves a broader story of American progress and decline over the past 150 years. It's a cautionary tale of prosperity, hubris, and loss. 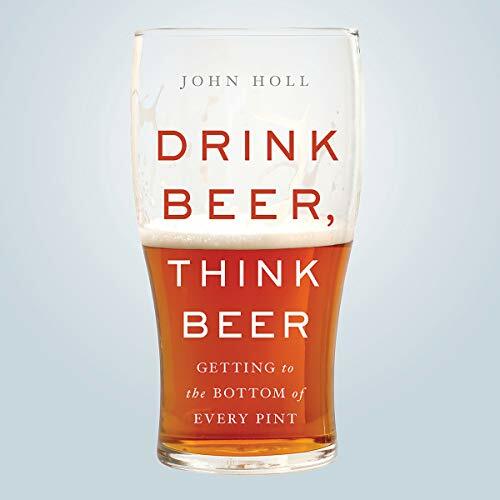 Drawing on history, economics, and interviews with industry insiders, John Holl provides a complete guide to beer today, allowing listeners to think critically about the best beverage in the world. Full of entertaining anecdotes and surprising opinions, Drink Beer, Think Beer is a must-listen for beer lovers, from casual enthusiasts to die-hard hop heads. 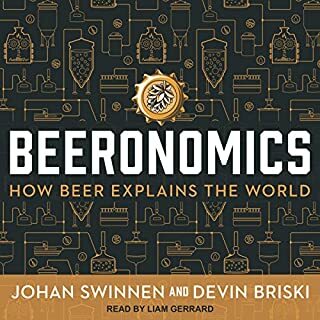 I just finished listening to 'Drink Beer, Think Beer' on Audible. It was a thought provoking, refreshing, inspiring, grounded, and REAL listening experience. I enjoyed it over a few pints over a couple weeks... It was an informative trip to breweries, a fun bottle a share, an introspective inspection of beer beyond the contents of the glass... Through earbuds. The authors narration was authentic and appreciated (I wish more authors would read their work! ).